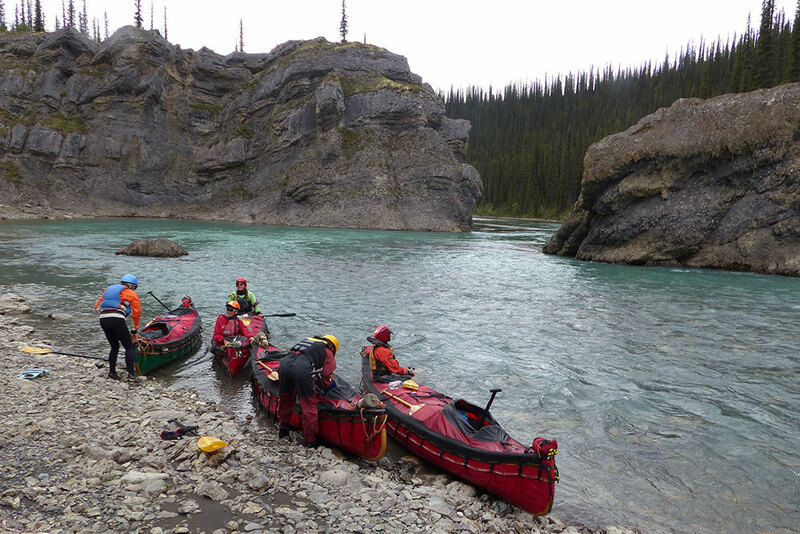 Join us on an incredible canoeing adventure down the Broken Skull river-this unique and remote tributary of the Nahanni river starts high in the alpine and takes you through corner after corner of fun, friendly whitewater. 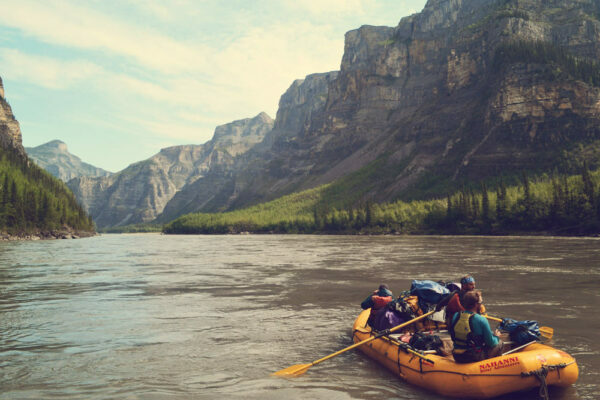 With clear water, incredible alpine vistas and an intimate wilderness feel this is a ‘must do’ for Nahanni first timers and Nahanni alumni wanting to explore another corner of this world-class watershed. 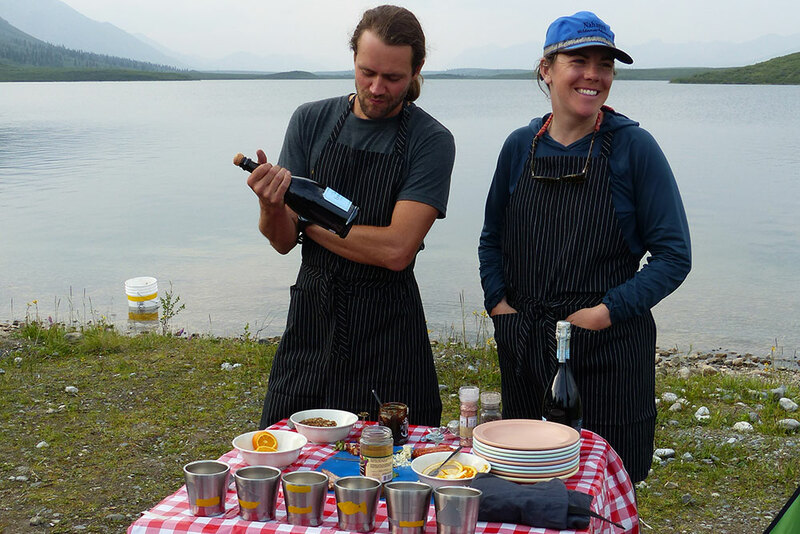 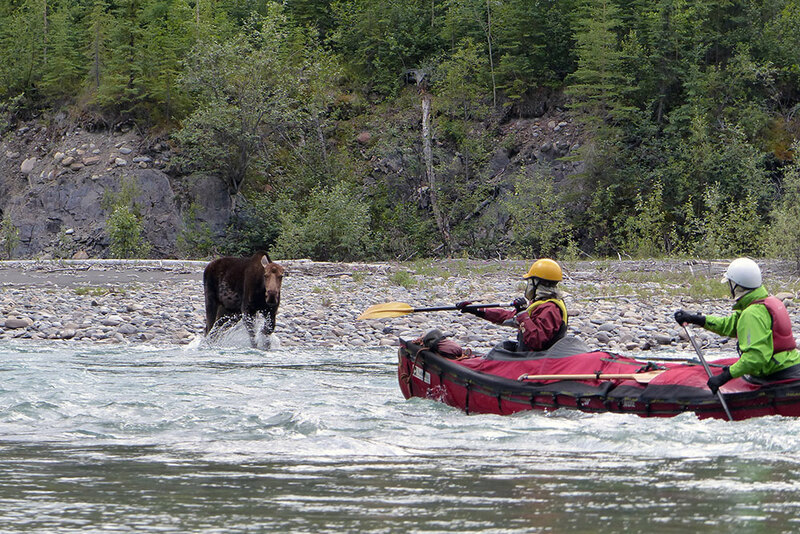 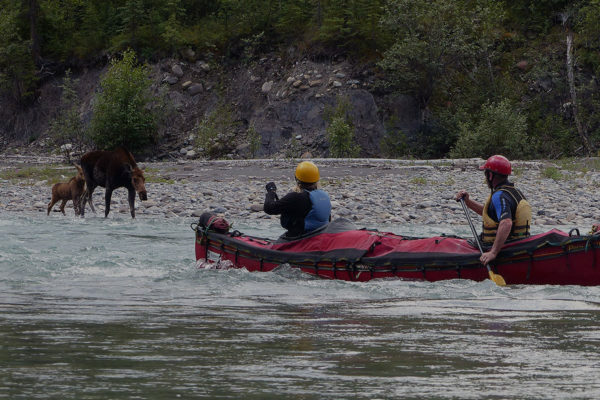 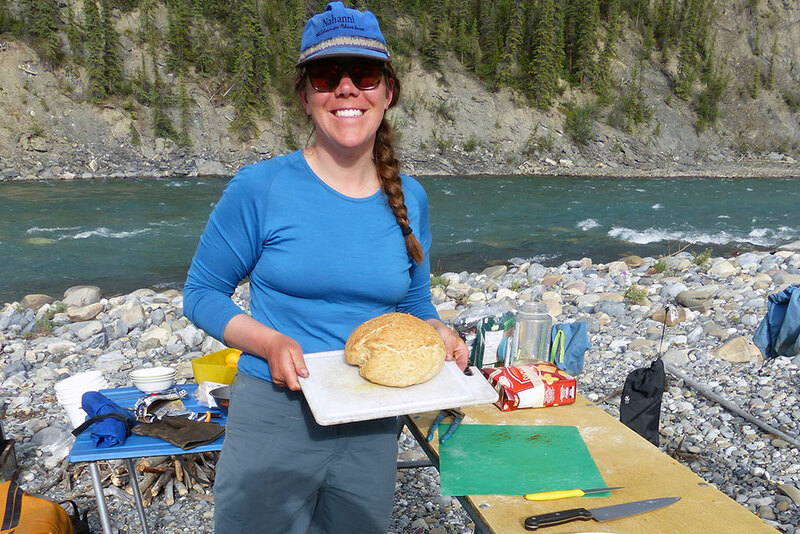 Operated by our sister company, Nahanni Wild, those who paddle the Broken Skull river will enjoy the highest quality of wilderness experience including our famous Nahanni menu, our professional guides and our love for sharing wild places. 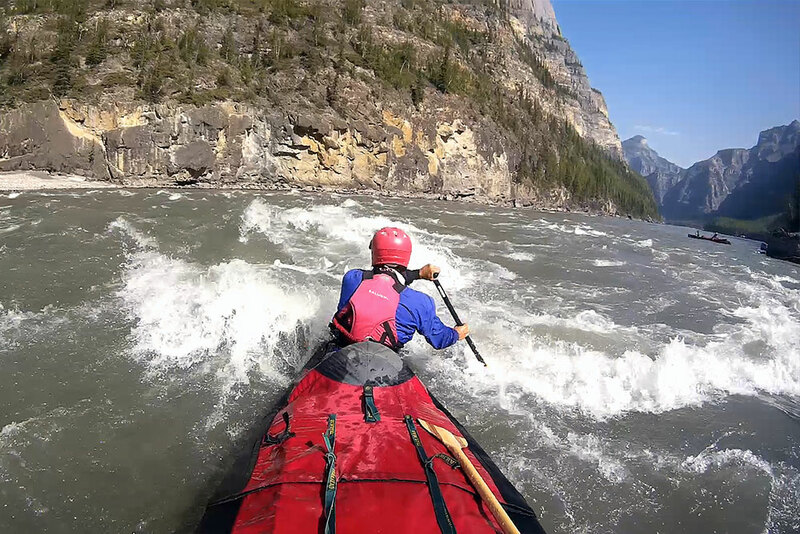 Paddled by only a handful of groups each year the Broken Skull is quickly increasing in popularity as canoeists discover its friendly whitewater, steaming thermal pools and high alpine ridges beckoning you to explore beyond the river banks. 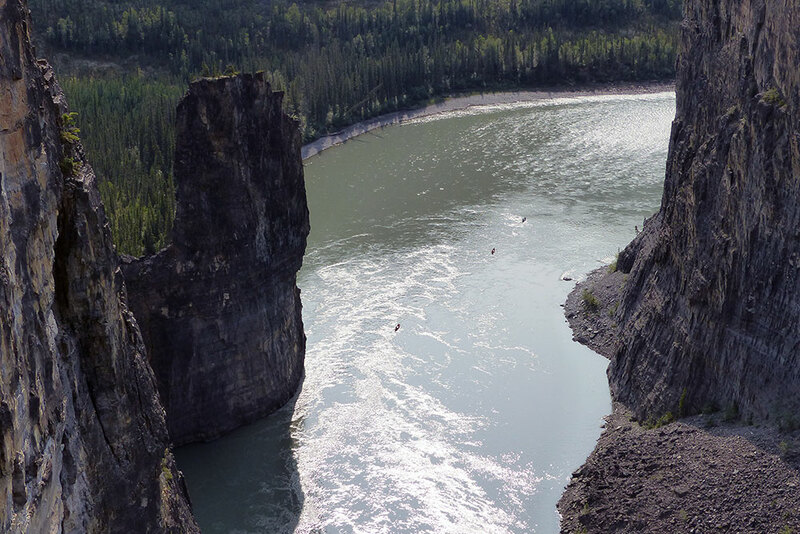 The Broken Skull Pıı̨́ṕ̨ ‘enéh łéetǫ́ǫ́ Deé (pronounced “peep-en-eh-cleh- tone day”) is a tributary of the South Nahanni River lying within Natsih’cho’h and Nahanni National Park Reserves. 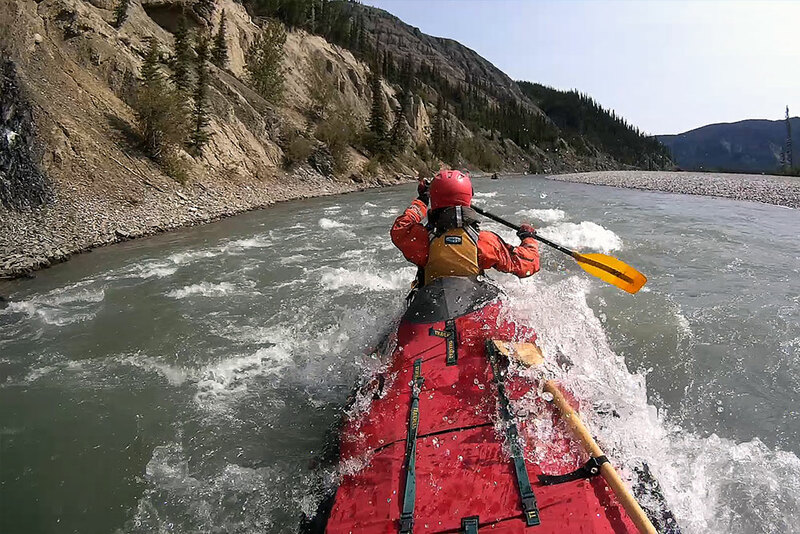 The Broken Skull is a small, alpine river that starts in the Mackenzie mountains near the border of the Northwest Territories and Yukon. 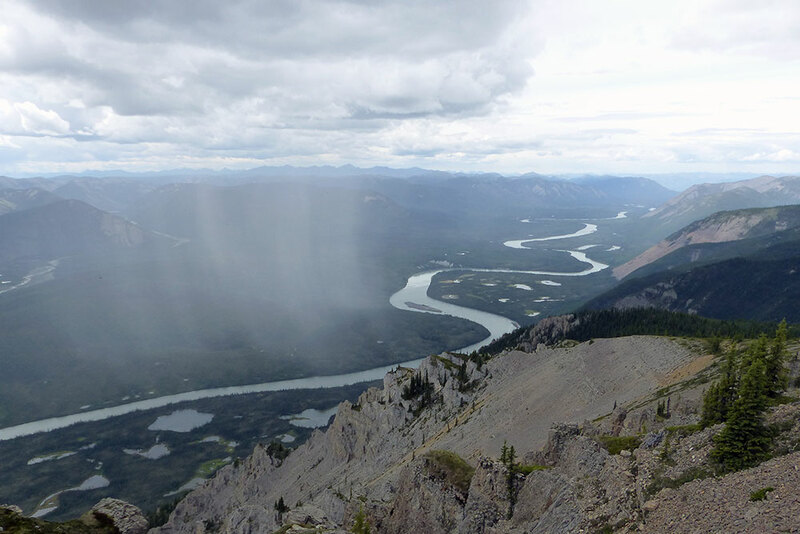 Flowing south west it joins the South Nahanni river just above Rabbitkettle Lake. 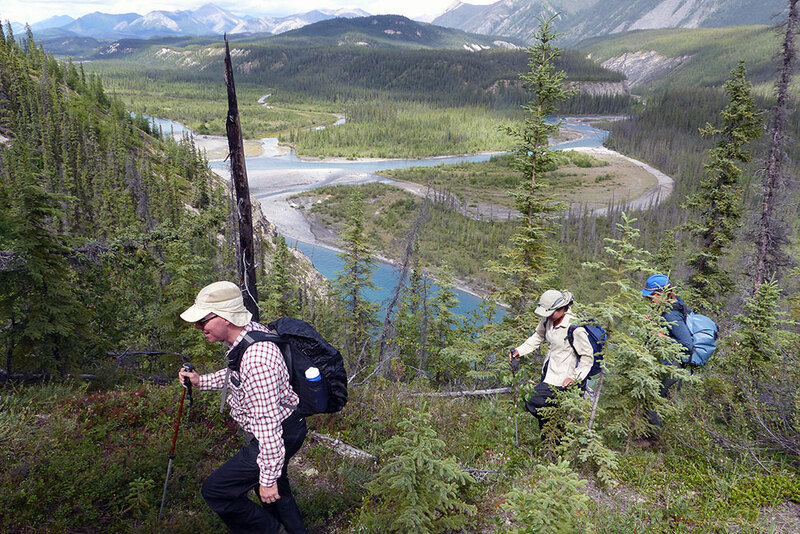 The Broken Skull river is accessed from Divide Lake. 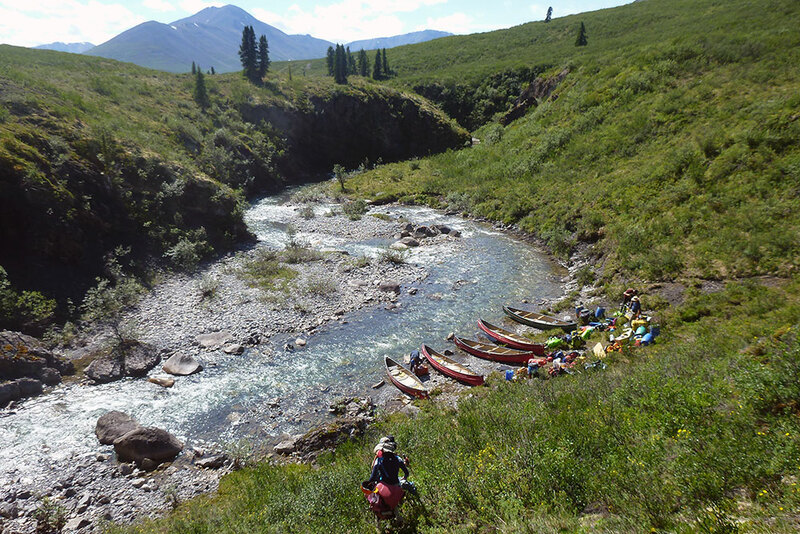 From the mouth of the lake paddlers can paddle and line their boats to the confluence with the creek. 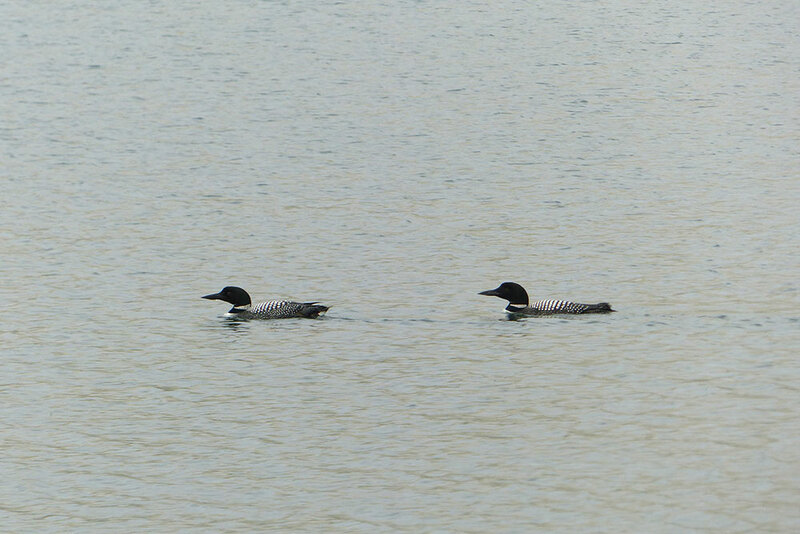 A short portage must be made around Swallow falls, named for the cliff swallows nesting along the falls. 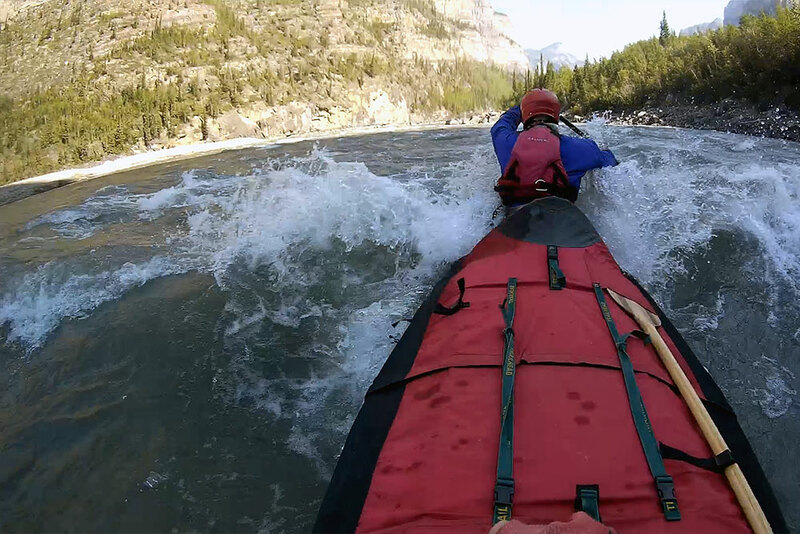 Below the falls a small canyon can be paddled in certain water levels by skilled paddlers or lined in low water. 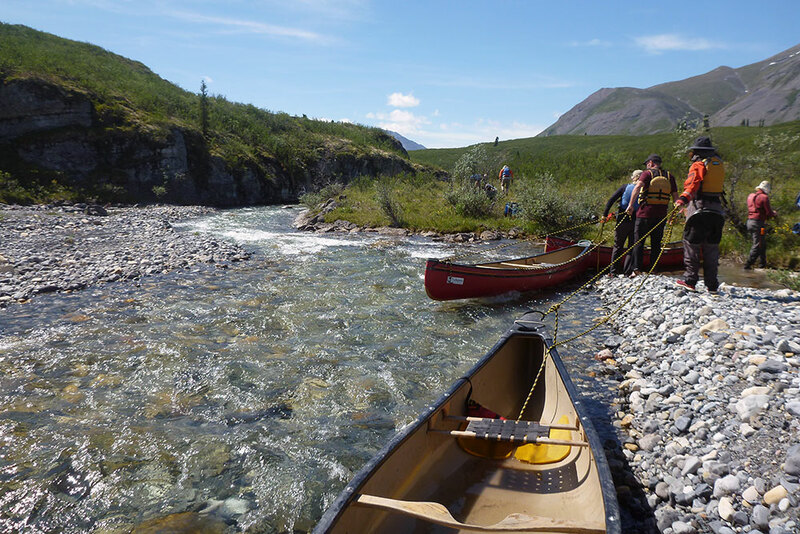 From where this creek joins the Broken Skull river approximately 125 kilometers of beautiful, clear water and incredible alpine views lie ahead. 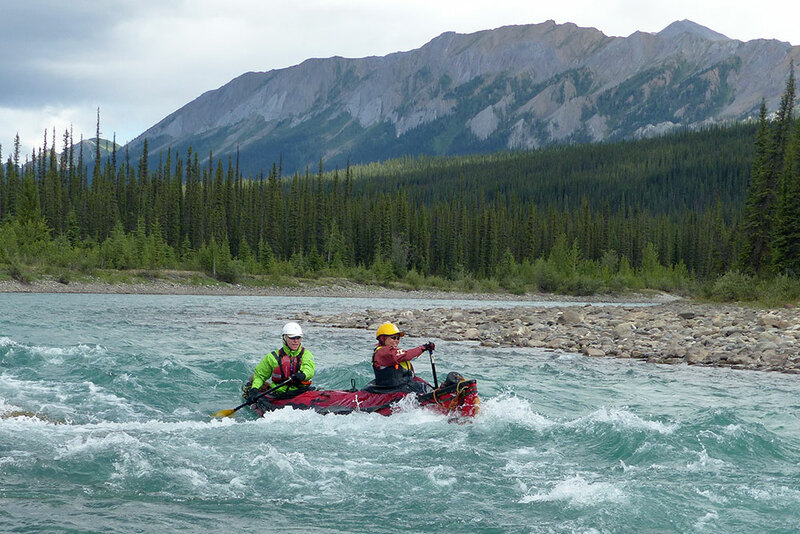 Many side creeks and tributaries increase the size of the Broken Skull river but it maintains it intimate feel until joining the much larger South Nahanni river. 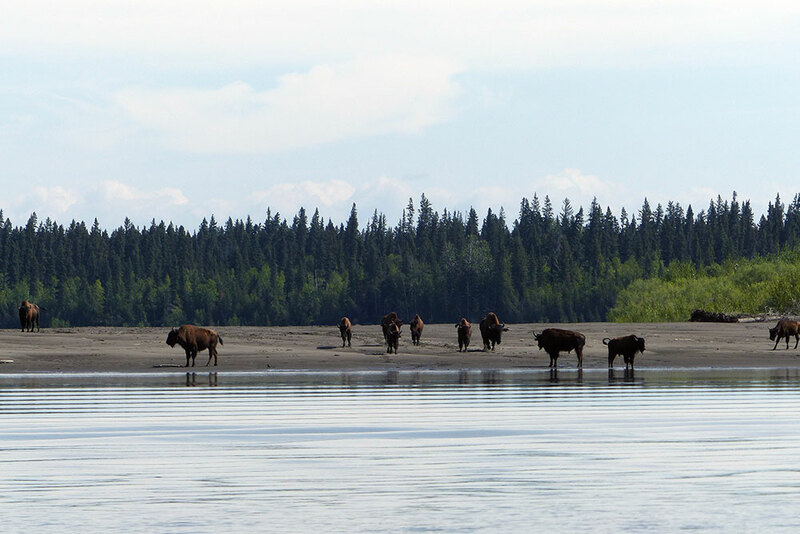 The Broken Skull is home to a myriad of wildlife including moose, grizzly bear, caribou, porcupines and many species of birds. 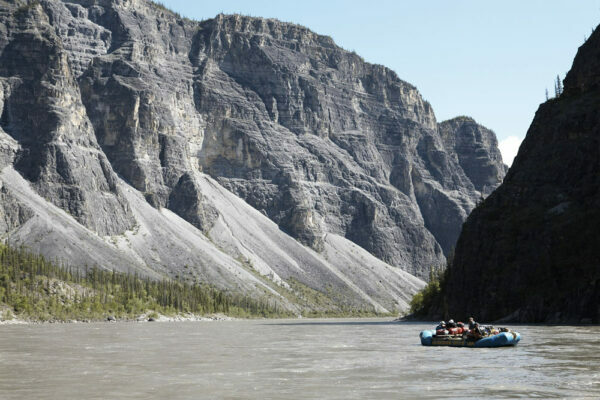 While the South Nahanni river has long captured the imagination of people from around the world, the Broken Skull has only more recently become a popular canoeing destination. 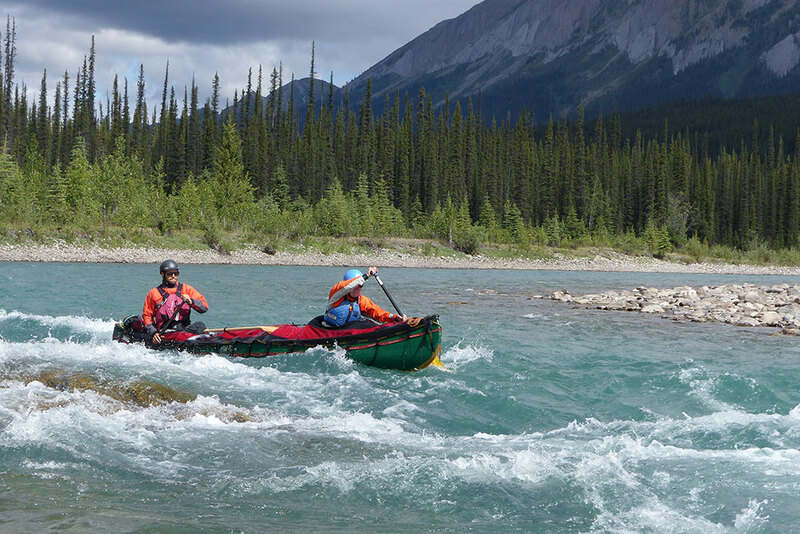 Groups flying into the headwaters of the Nahanni had long wondered what adventures awaited in the striking blue ribbon of water marked on the map as the Broken Skull river. 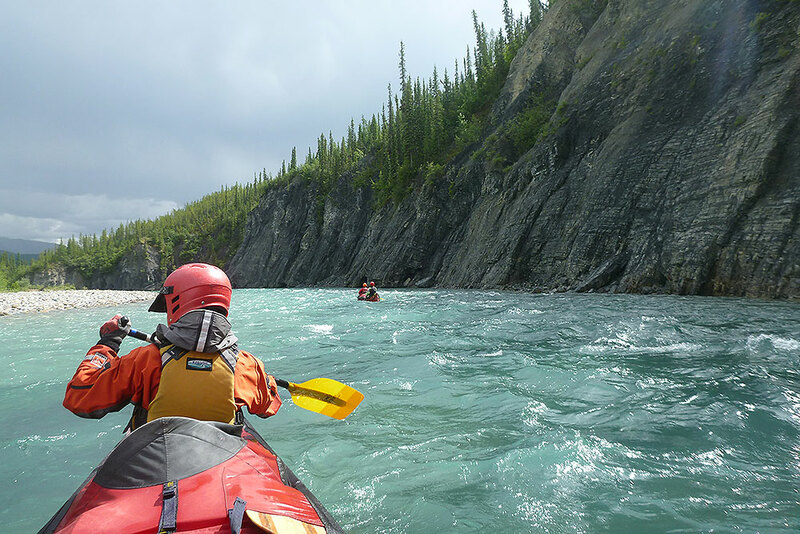 With the recent establishment of Naatsi’cho’h National Park Reserve, the Broken Skull river was begging to be further explored. 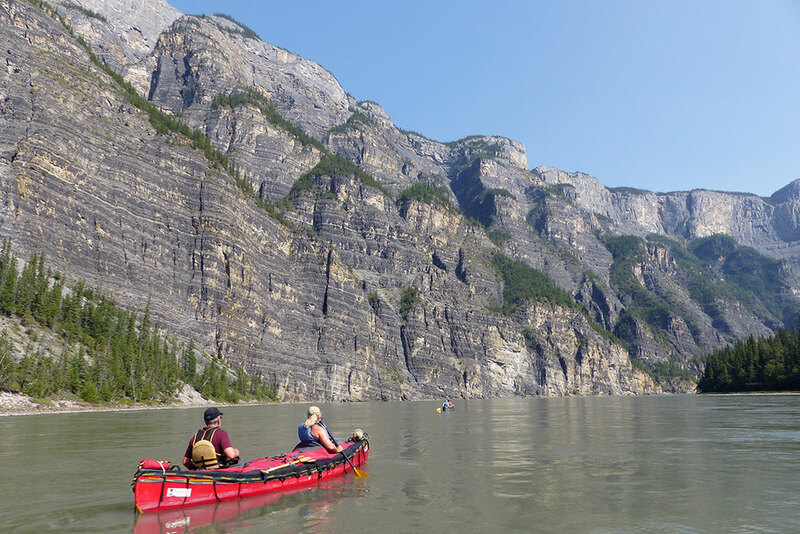 Since that time a handful of groups have paddled the Broken Skull river each year but it is quickly gaining in popularity as a stunning addition to the classic two week Nahanni canoe trip or as a stand alone option for those with less time or who have already paddled the South Nahanni. 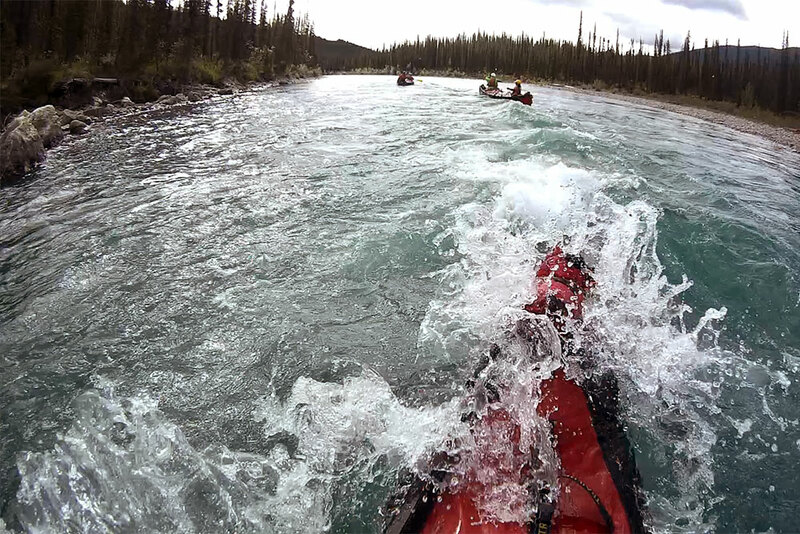 Like the Nahanni, the Broken Skull offers much to explore beyond the river. 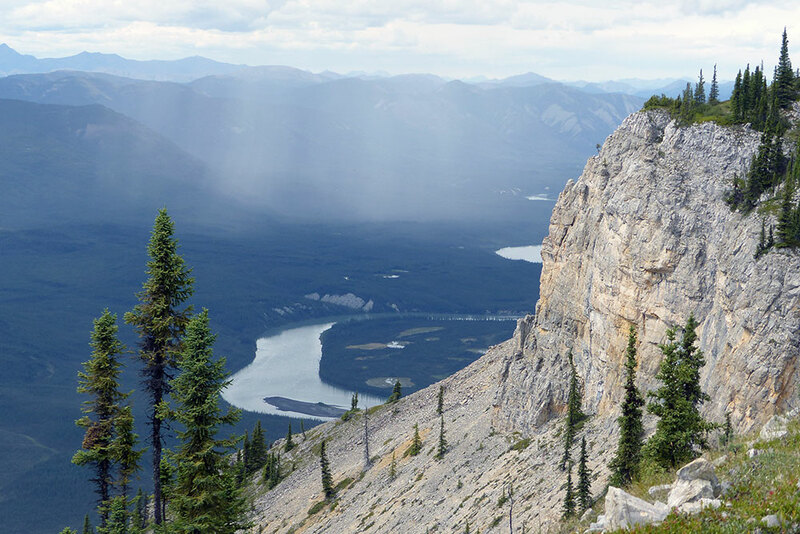 Alpine peaks gleam in the sunshine encouraging hikers to wander in their valleys and on their talus slopes. 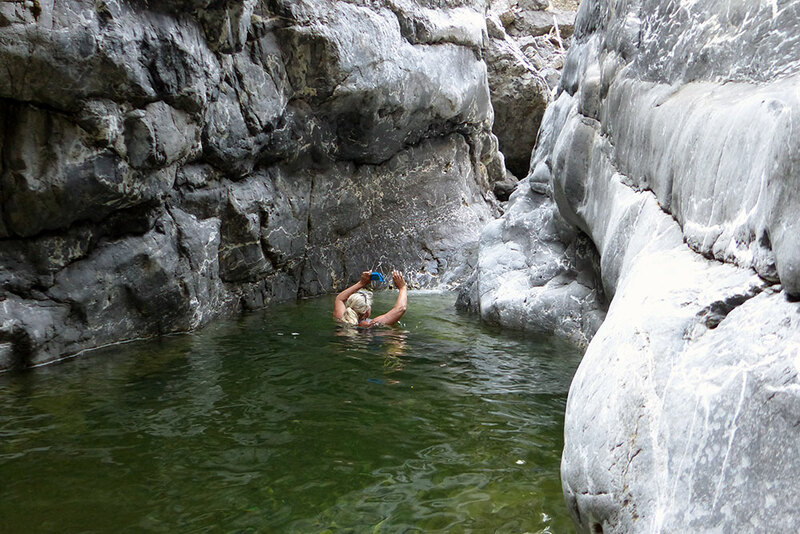 At Broken Skull hot springs, a short hike away from the river, two distinct pools tempt paddlers and wildlife alike to bask in its healing waters. 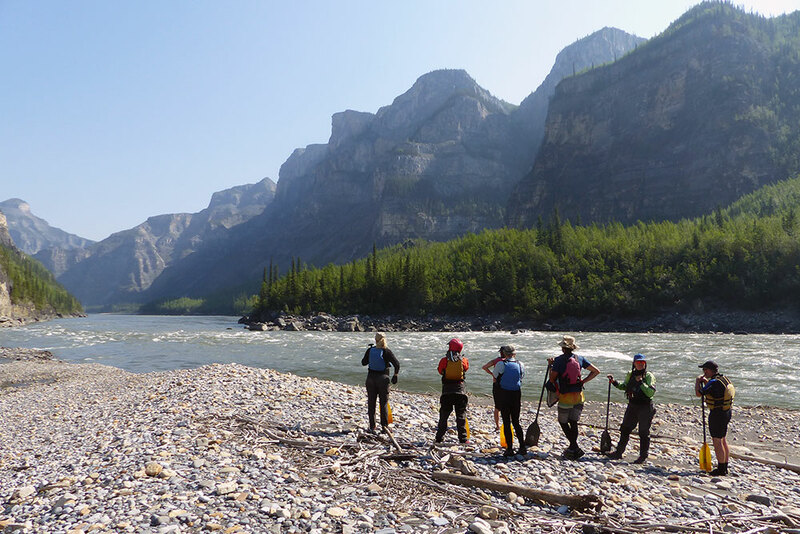 Our 10 day Broken Skull trip and our 22 day Broken Skull/Nahanni expedition both allow time for hiking. 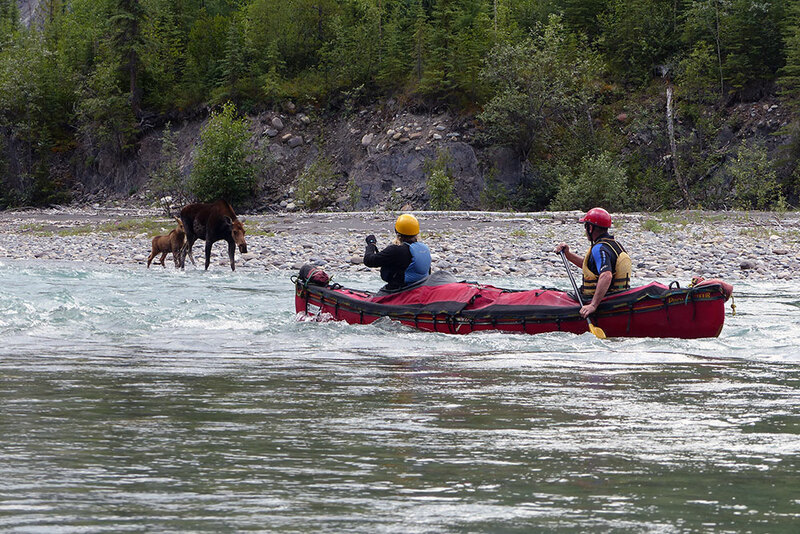 Join us on the Broken Skull and immerse yourself in a landscape full of romance and magic. 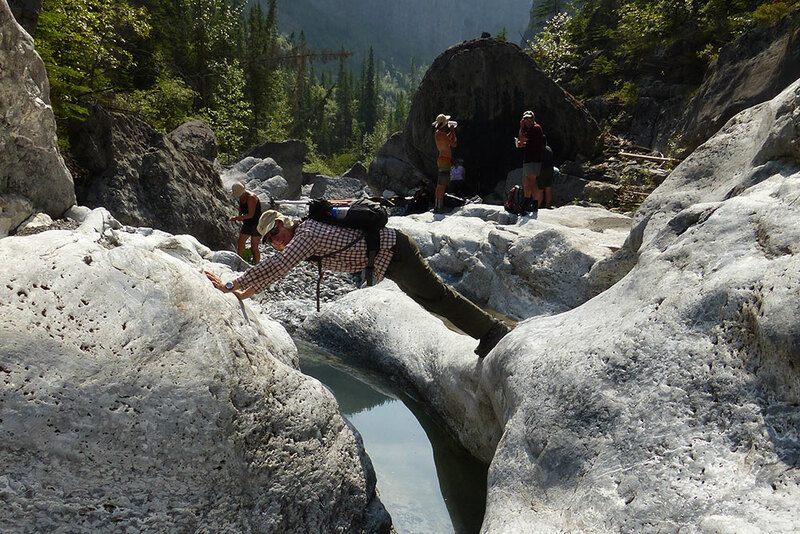 The Broken Skull River’s headwaters lie in the Selwyn Mountains. 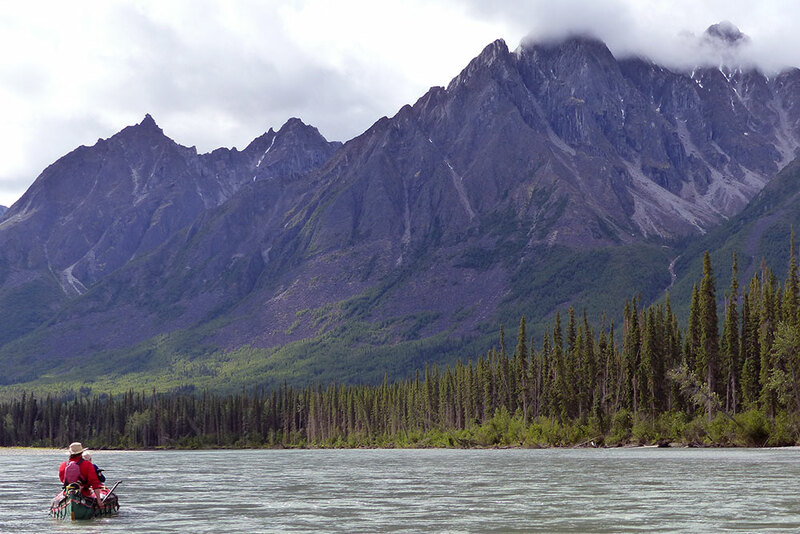 The river flows through the mountains and gorges of the Mackenzie Mountains. 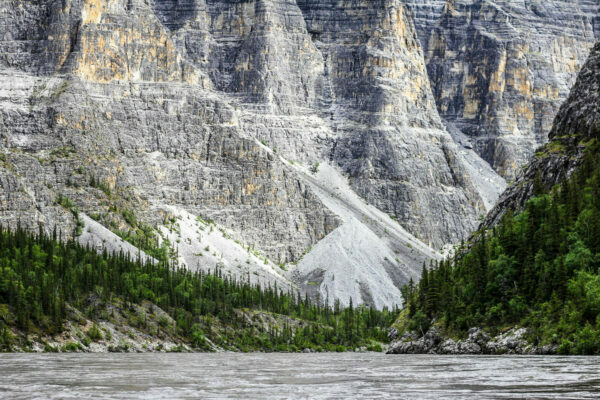 The valley widens near the mouth and the river becomes braided before joining the South Nahanni river. 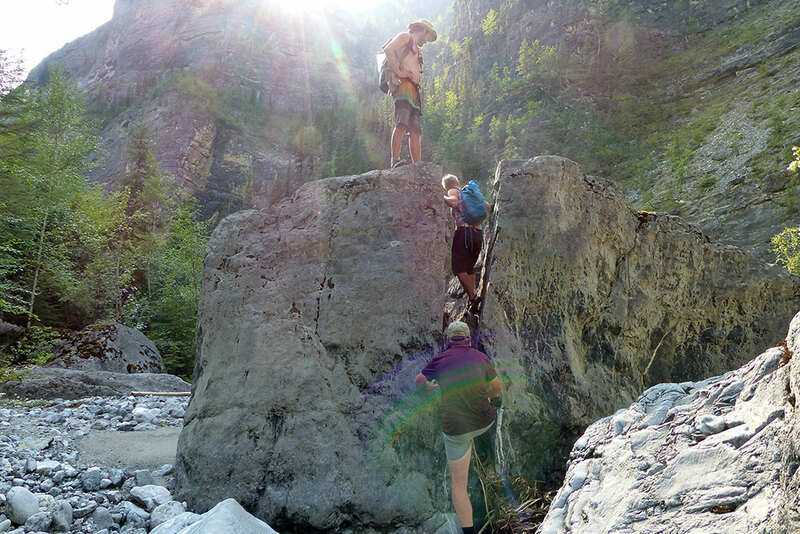 Your first day on the Broken Skull leads you deep into the mountains with numerous options for hiking and easy access to the alpine that continues for most of the trip. 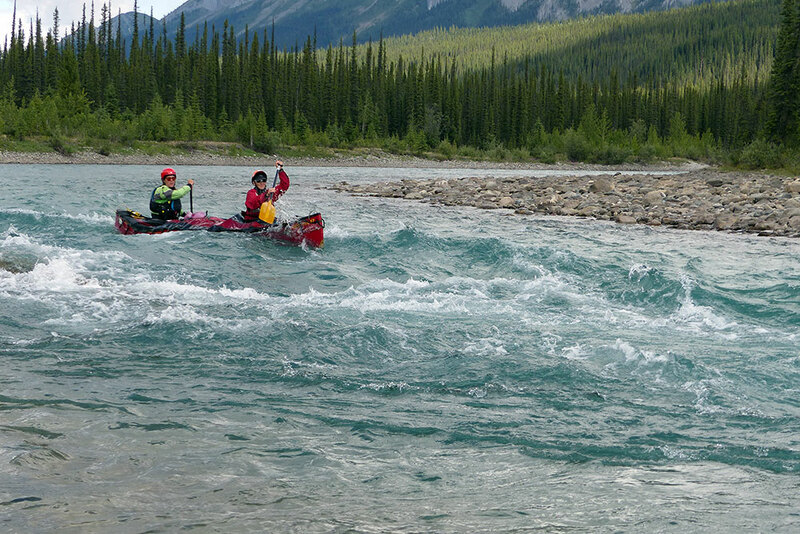 The Broken Skull River is located in a semi arid region. 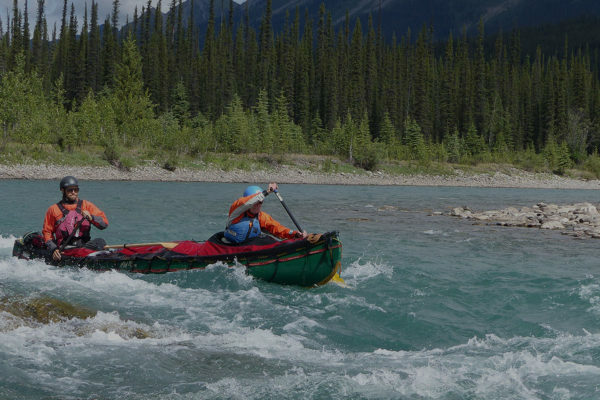 Be prepared for a wide range of weather conditions. 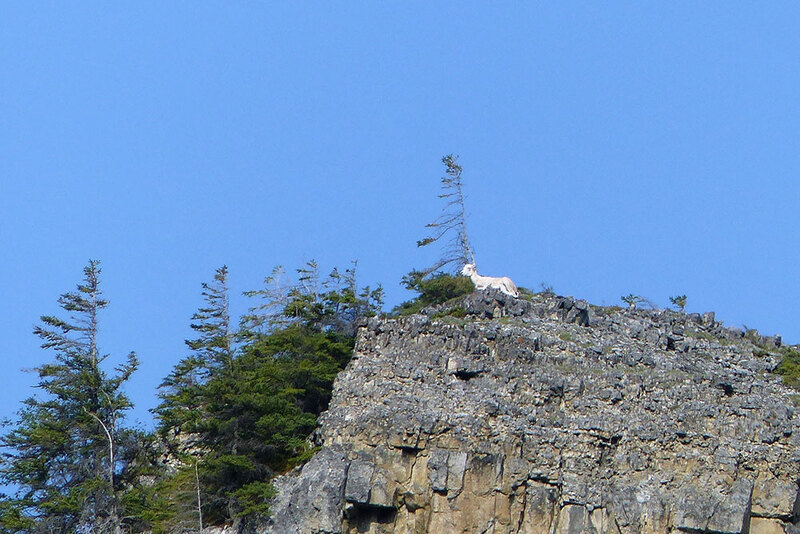 Weather can change quickly in mountainous areas like the Broken Skull. 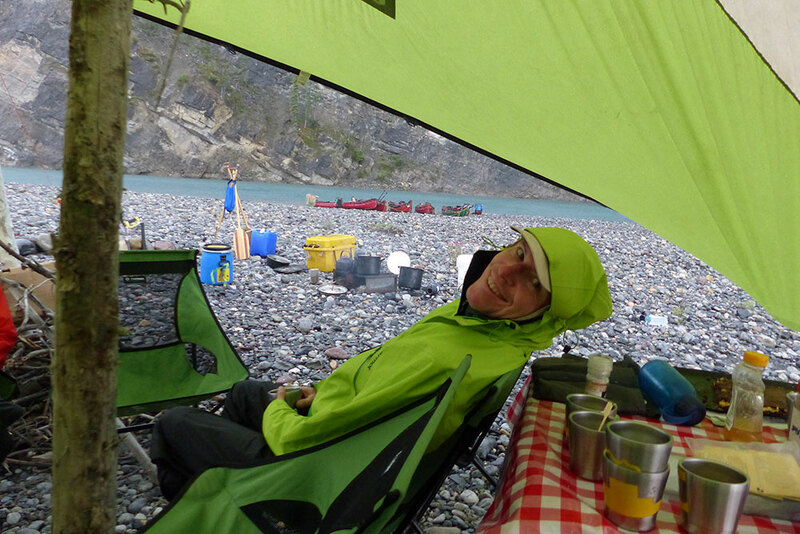 It is not unusual to have hot sunshine and rainfall in the same day. 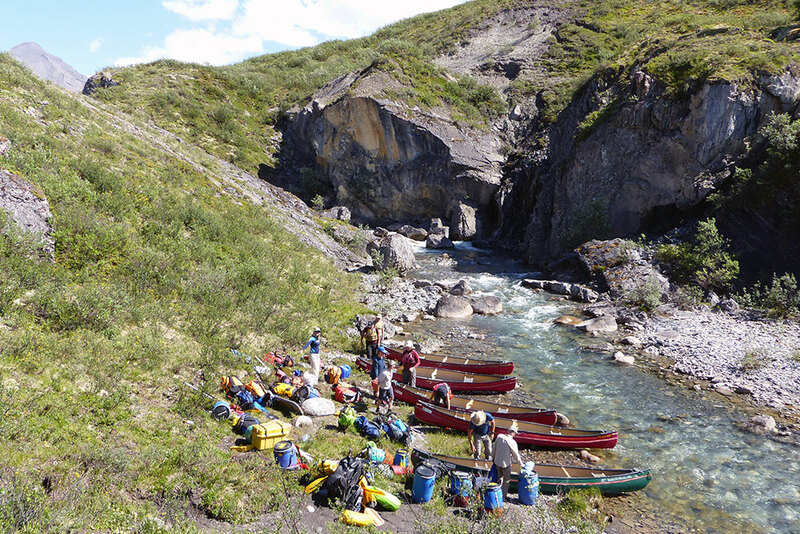 Weather typically improves as groups descend from the mountains into the wider South Nahanni river valley. 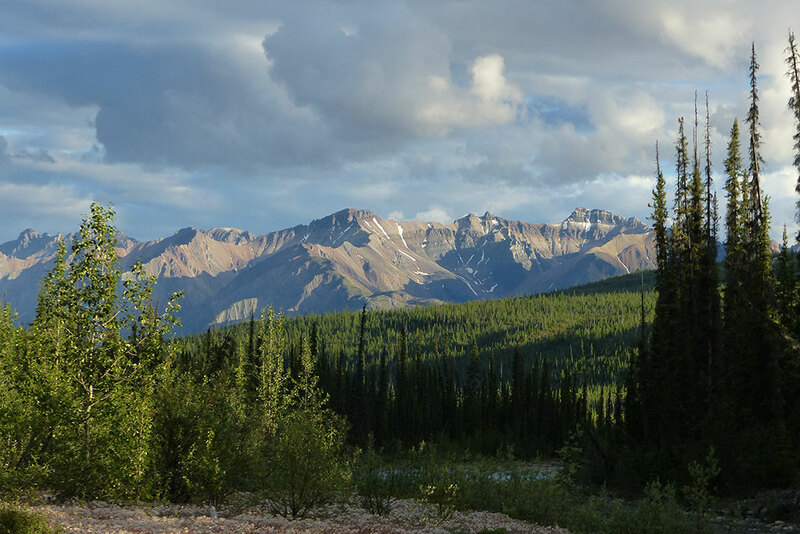 Summer weather can be hot and dry although (on the rare occasion) it could snow, especially near the end of August. 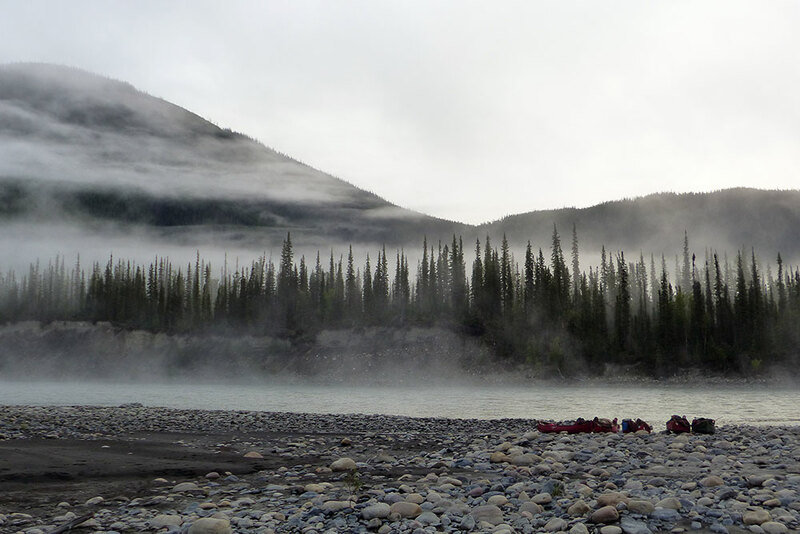 While inclement weather is a possibility at anytime, the weather is usually moderate. 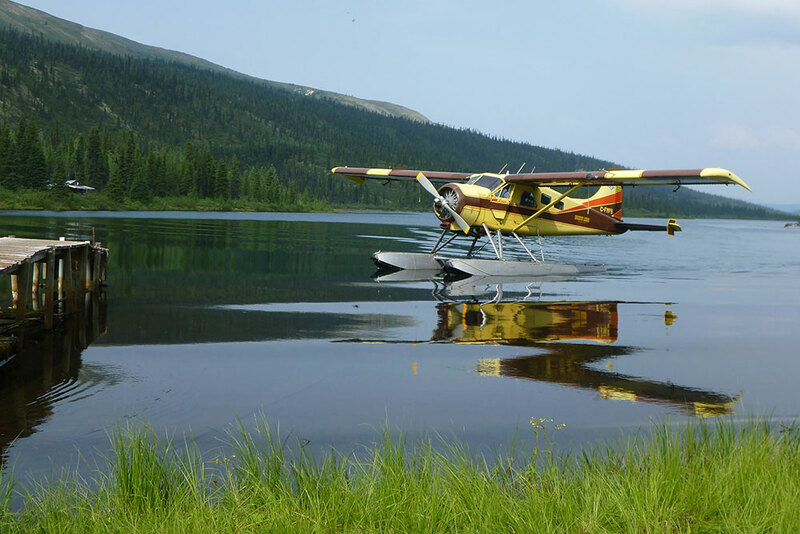 The average July temperature is 16°C and during August is 14°C, although temperatures of 30 degrees are not uncommon. 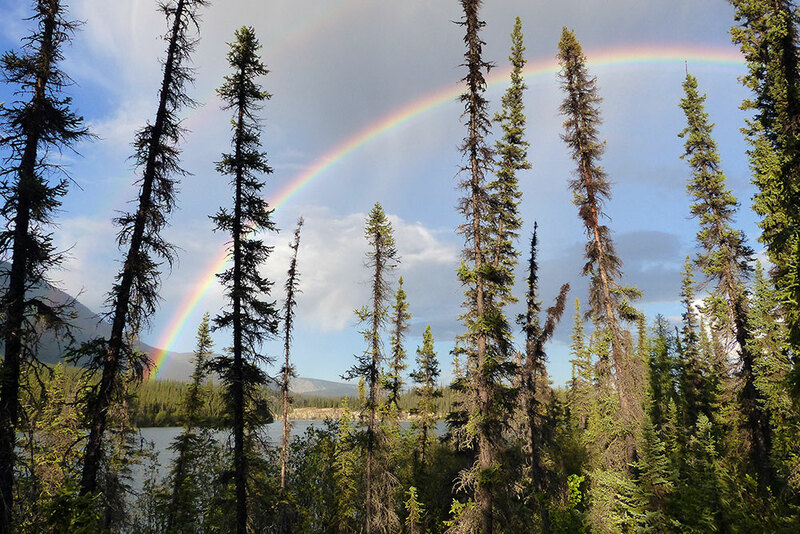 Summer precipitation is mainly convective in nature, occurring mainly in the afternoons or evenings in the form of showers or thunderstorms. 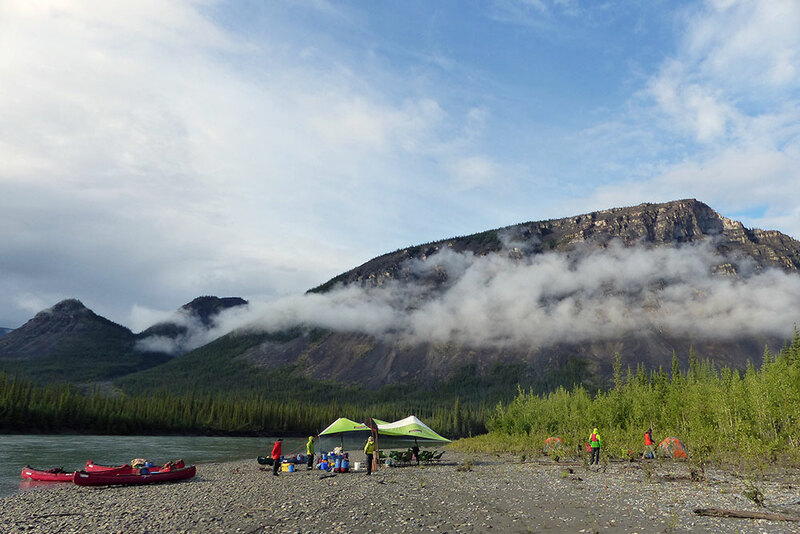 We provide you with appropriate recommendations for what to pack and wear in our Nahanni trip information. 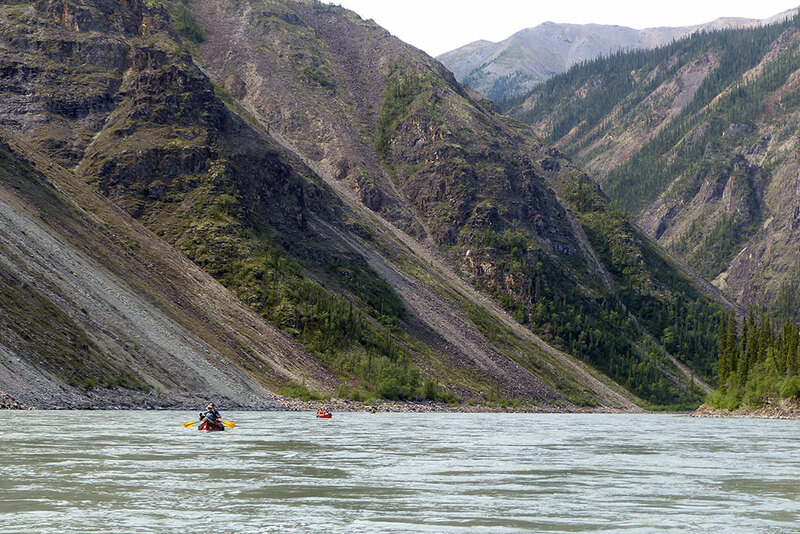 The flora of the Nahanni River watershed may be more diverse than that of any other region of comparable size in the NWT. 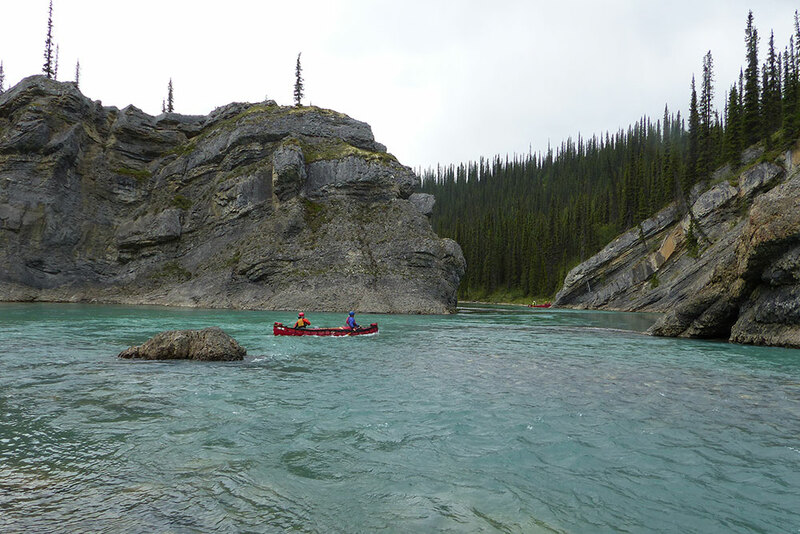 Although white and black spruce predominate, there is a fascinating variety of other vegetation in the region, including on the Broken Skull River. 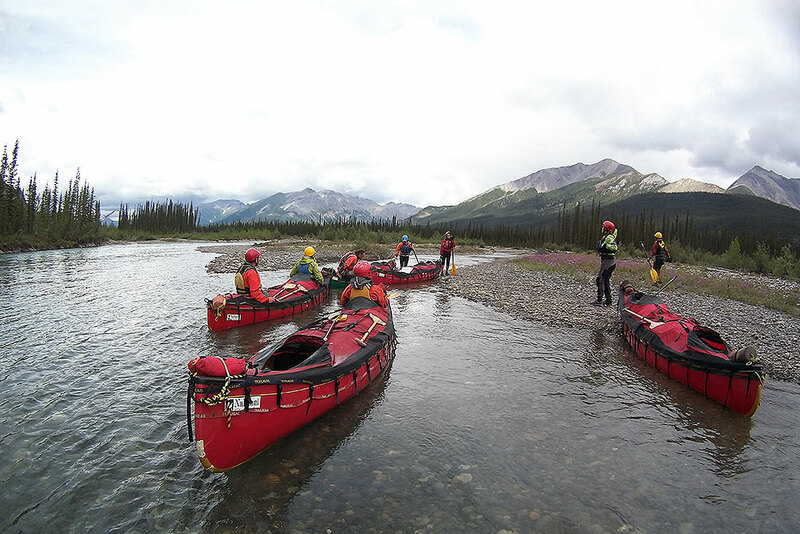 The diverse and abundant plant life on the Broken Skull will be of interest to wild flower enthusiasts and anyone wishing to learn more about the rich natural world they are travelling through. 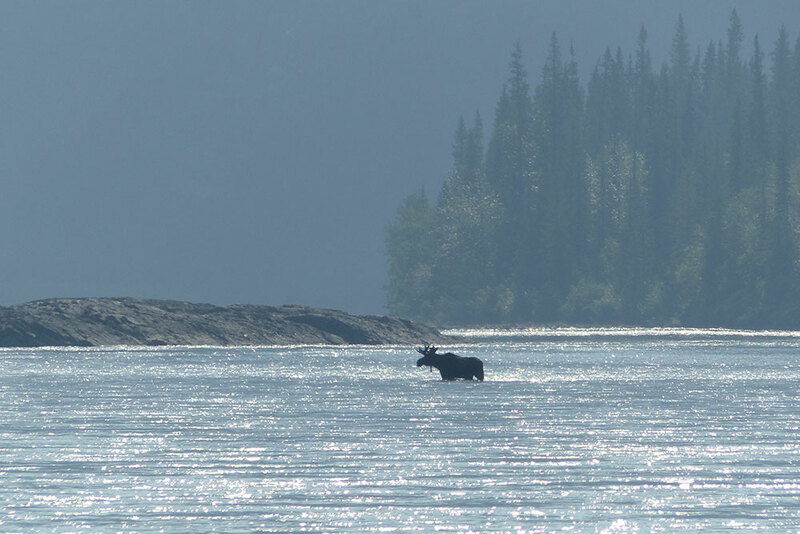 This is primarily due to the existence of highly specialized habitats like hot springs, mist zones near waterfalls, unglaciated terrain and areas of discontinuous permafrost. 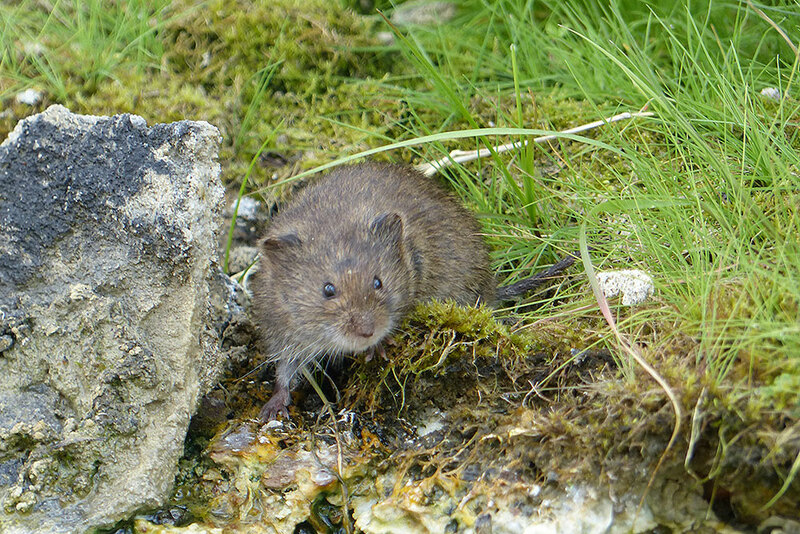 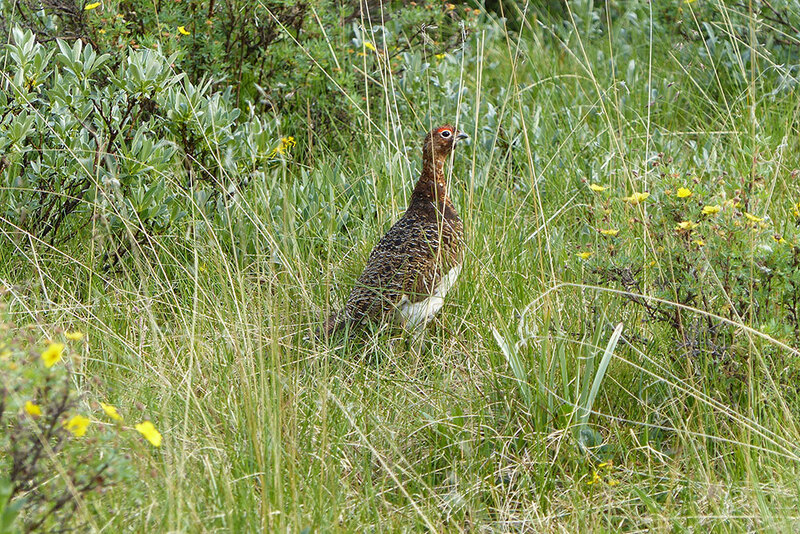 Wildlife in the region are diverse and abundant. 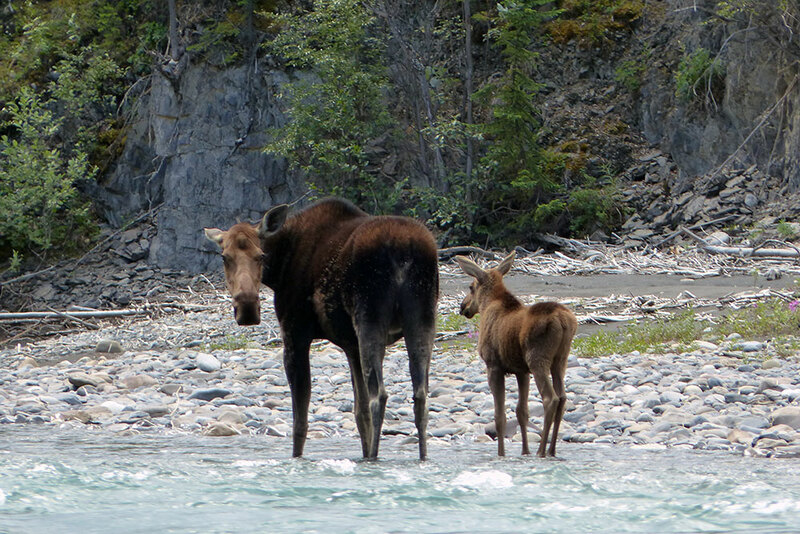 Moose, woodland caribou, grizzly and black bears frequent the Broken Skull River Valley, as do porcupine, beaver and a number of smaller rodents. 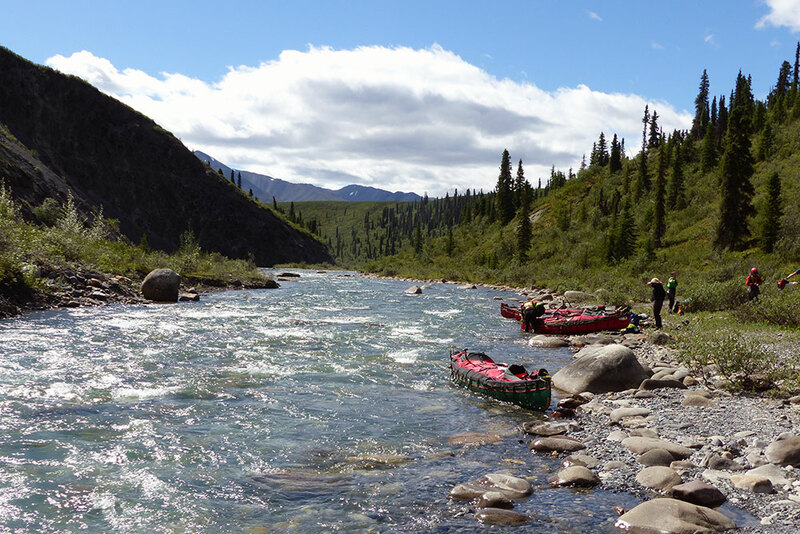 The clear waters at Divide Lake and along the Broken Skull and its tributaries offer the opportunity to catch Dolly Varden, lake trout and grayling. 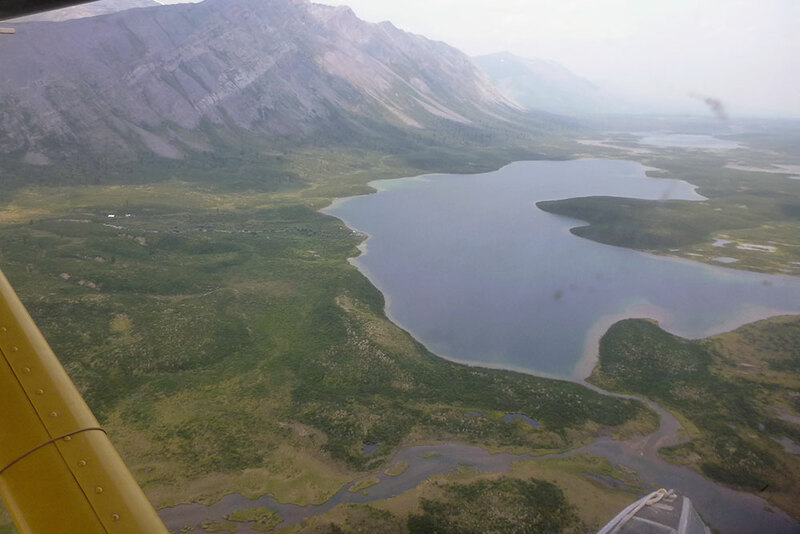 One hundred and seventy species of birds have been recorded in Nahanni National Park including trumpeter swans, bald eagles, golden eagles, peregrine and gyrfalcons.